At first sight a hound of days gone by, just jumped out of a mediaval painting. A noble and graceful head, solidly built, but not fat or coarse. He shows power, style and elegance. His coat is short-haired, mostly tri-coloured. His calm and friendly character makes him a good buddy, housemate and friend for the whole family. 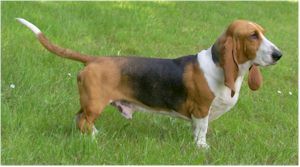 Good health of the Basset, a good character and a nice appearance. 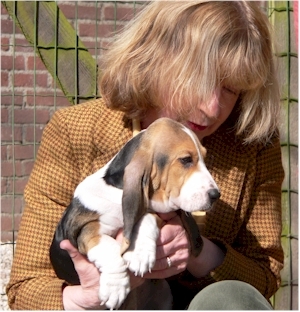 In 1973 we had our first Basset Artésien Normand. She came from the famous ‘du Toutounier’ bloodline. In 1979 our first litter was born. Since then we shared a lot of experiences and knowledge with other French and Dutch breeders. 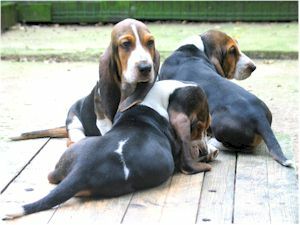 With a lot of love and passion we set up a kennel for the Bassets. 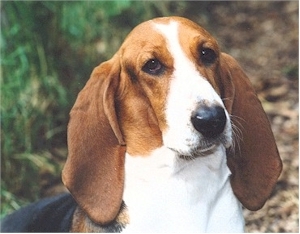 We still see the French bloodlines of kennel ‘Leparoux’, ‘Rameaux de Cuisy’ (Marc Boin) and ‘de la Petite Sologne’ (Maurice Leblanc), the ancestors of our hounds. But also today’s bloodlines as ‘de la Petite Gatine’ and ‘du Grand Hourqueyre’ are united in our ‘de Bérénice’ blood. All puppies are born in our house and are raised with great care as part of the family. We emphasise a good socialisation process, puppies must get accustomed to all noises (Tv and radio) in and around the house. Apart from loving care, we put high demands on character, health and appearance of the parent-animals. We follow the breeding instructions set by the Dutch authorities. At a later stage we hold close contact with the new pup-owners to be sure that the puppies grow up well. For pictures see puppies.